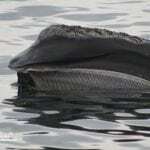 We are closer than ever to the extinction of the North Atlantic right whale. Fewer than 450 whales survive today. Hunted since the 11th century, right whales were nearly extinct when they finally received protection from whaling in 1935. Even so, the population has struggled to recover as they face mounting modern-day threats from fishing gear entanglements, vessel strikes, habitat loss, and pollution. 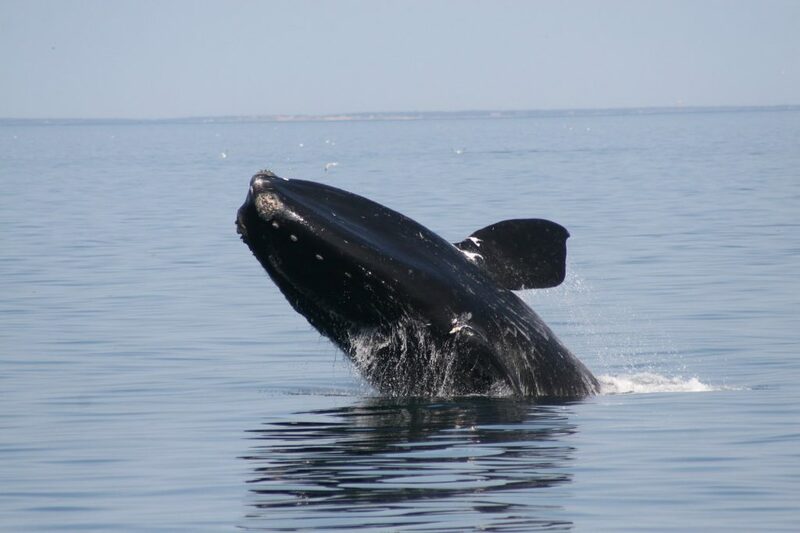 Since its incorporation in 2005, WDC’s North American office has run a dedicated programme to save this imperilled species and implement protective measures to save right whales from those threats. For example, WDC has worked to develop and implement rules to reduce ship strikes, successfully reducing the risk of a fatal collision by 80-90% in US waters, and to increase federally designated critical habitat to cover nearly 40,000 square miles of the US East Coast. 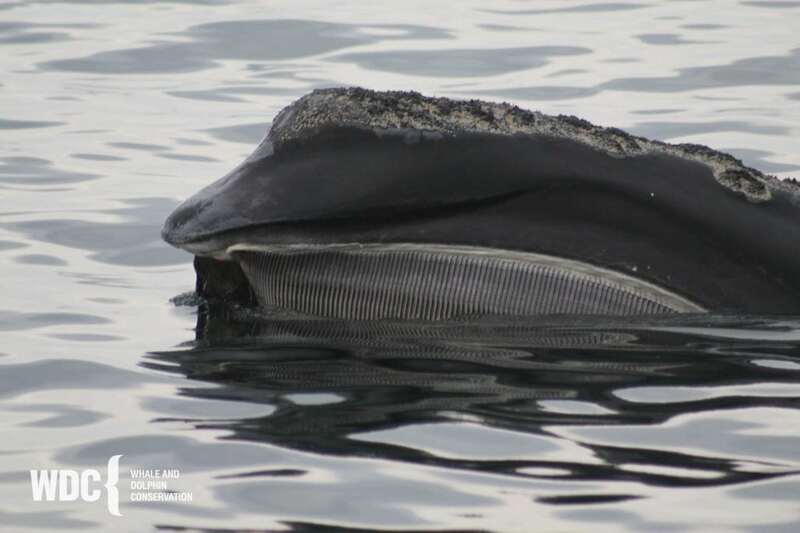 Sadly, the unprecedented loss of at least 18 endangered North Atlantic right whales since April of 2017 has caused considerable alarm as these deaths comprise over 4% of the entire species of which only an estimated 450 remain. In human terms, a similar loss would mean the deaths of more than 304 million people in a matter of weeks – that would be approximately 94% of the entire US population. The recovery of large whales is key to combatting climate change and saving our own future. Emerging research demonstrates that whales act as ecosystem engineers and provide the much needed nutrients to phytoplankton, tiny ocean plants that create least 50% of our oxygen, annually sequester hundreds of thousands of tons of carbon, and provide a base for the marine food web leading to abundant fish stocks. We need right whales to survive- our future depends on it. 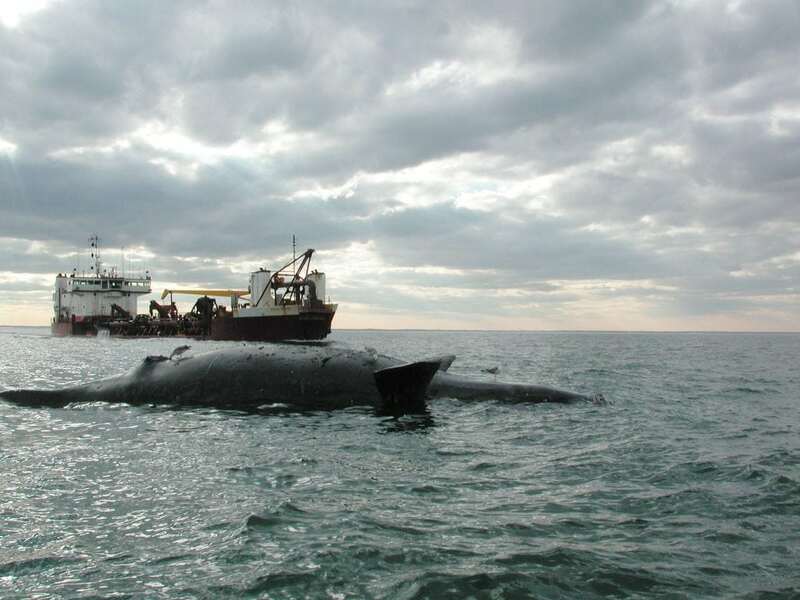 In response to a changing climate, human use of their habitat, or perhaps both, right whales have changed their habitat patterns since 2010 which has increased their risk of entanglements and vessel strikes. 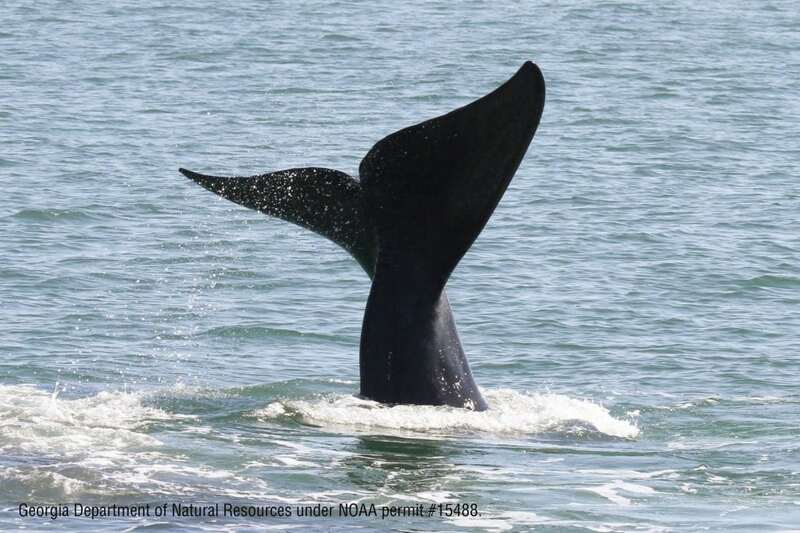 Female right whales aren't living as long as males, leaving fewer mature females to bear calves and add to the population number and long-term survival of the species. Extinction from current threats is predicted within 25 years at this rate. 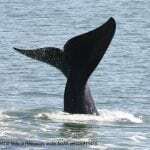 WDC remains active in a number of stakeholder groups working to increase protections for right whales. We will continue to work with industry members to develop more sustainable fishing practices that don’t risk entangling right whales. We will continue to ensure legislators consider impacts to right whales when proposing any changes in their ocean homes. 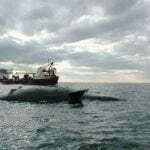 Through public education, we will reach as many people as possible- boaters on the water, students, families, and the general public- to share the plight of North Atlantic right whales. At least 4% (18 whales) of the population died between April 2017 and January 2018. 12 of the 18 confirmed deaths were documented in the Gulf of St. Lawrence in Canada while the remaining 6 were found in US waters. The species is in decline with a 1% annual loss since 2010. Reproduction rates are down with only 5 calves documented in 2017. NO CALVES were reported during the 2018 calving season. The leading causes of death are entanglements in fishing gear and vessel strikes. Adopt a whale and follow the lives of these amazing creatures. You can join our team and help us save whales and dolphins.